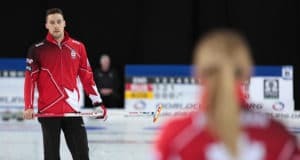 Ontario’s Sherry Middaugh, Karri-Lee Grant, Christine Loube and Jane Hooper-Perroud from the Thornhill Club are having plenty of success at the 2019 Everest Canadian Seniors Curling Championships in Chilliwack, B.C. They’re sitting on a 5-0 record and are guaranteed a spot in the Championship pool. But these women – the 2018 bronze medallists – can’t help thinking how much has changed from a very similar situation just one year ago. Rewind to the 2018 Everest Canadian Seniors Championship at the Stratford Rotary Complex in Ontario. This team was undefeated and looking forward to a playoff position. But there was one difference: Team Ontario was skipped by Colleen Madonia. However, in July 2018 the team had to re-evaluate their 2019 season goals when skip Madonia was diagnosed with breast cancer. Not knowing when she would be well enough to curl again, Madonia stepped aside, assuring the team she wouldn’t go far. 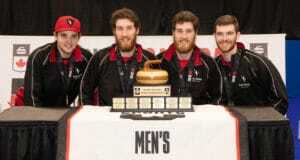 But if the team wanted to pursue their goal of getting back to the senior’s nationals and bringing home gold, they needed to find someone willing to step in as skip. In early February Madonia finished treatment and is now cancer-free. She wasted no time getting back on the ice and is already playing twice a week in leagues at the Thornhill Curling Club. And of course, without hesitation, she was welcomed back as the team’s fifth player. After being a part of this team for three years and curling with Madonia for over seven, lead Jane Hooper-Perroud’s initial reaction to her skip’s diagnosis was shock and the realization that the team might not be playing anymore. But she was wrong. 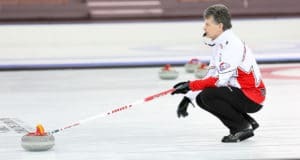 Through nine draws of the 2019 Everest Canadian Seniors the two Sherrys continue to lead the pack. 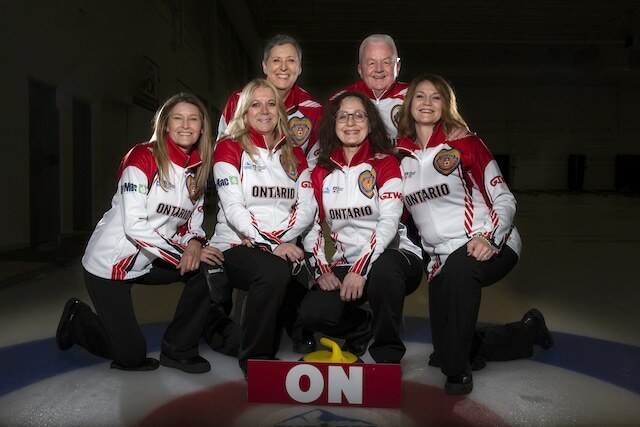 Saskatchewan’s Sherry Anderson’s rink and the foursome from Ontario skipped by Middaugh remain the only undefeated women’s teams among the fourteen-team competition. Anderson picked up a 7-2 win over Nunavut’s Geneva Chislett and improves her record to 5-0 in Pool A. In Pool B, Middaugh sits at 5-0 after picking up wins over Prince Edward Island and Newfoundland and Labrador on Sunday. 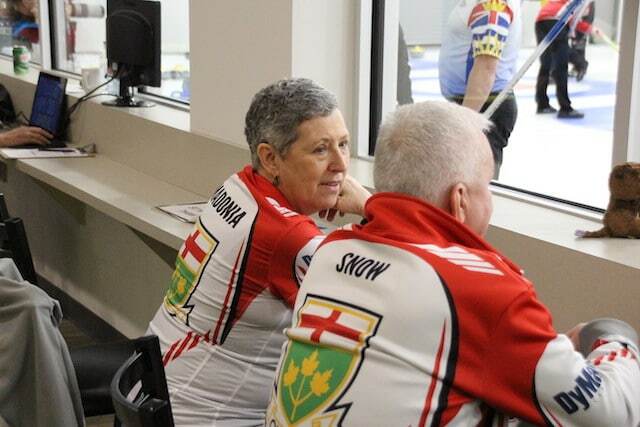 Following closely behind and assuring themselves a Championship Pool position are Nancy McConnery of Nova Scotia and Terry Ursel of Manitoba, who share a 4-1 record. 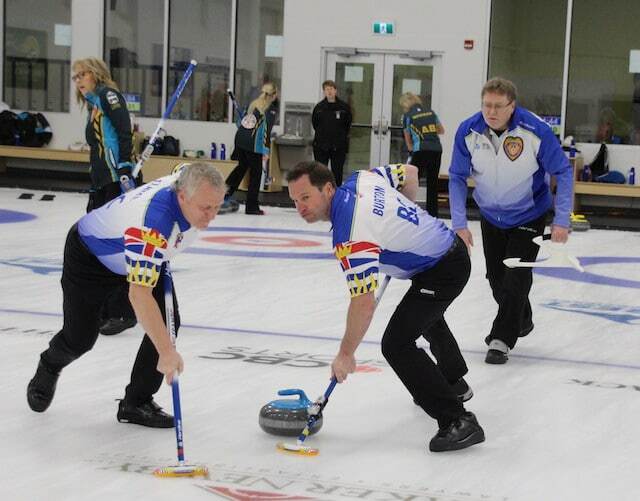 On the men’s side, Saskatchewan’s Bruce Korte (4-0) is the only one team still undefeated in the round robin. Not far behind sits Alberta’s Wade White at 4-1. The host B.C. team, led by Wes Craig and representing the Nanaimo and Kerry Park clubs, is doing their part in keeping the fans happy. They concluded their day with a 9-3 win over Nunavut and 6-2 victory over the Yukon to improve their record to 4-1 and clinch a Championship Pool spot. The round robin in both Men’s and Women’s pool play continues on Monday with draws at 10:00 a.m, 2 p.m. and the first round of seeding pool play at 7:00 p.m., all times PT.